originally Posted October 9, 2017 by Fintan Corrigan on Dronezon.com used with permission. UAV lidar and photogrammetry imaging applications are increasing rapidly. This is not surprising as using GPS enabled UAVs for aerial surveying is very cost effective in comparison to hiring an aircraft with photogrammetry equipment. Because UAVs are relatively inexpensive, many organisations will have their own fleet, allowing for rapid surveys over large land areas where required. With GPS equipped drones, digital cameras and powerful computers, surveys with an accuracy down to 1 to 2 cm is very possible. This post takes an overall look at this drone mapping technology. We also take a quick view at the sectors benefiting from using UAVs for photogrammetry and lidar mapping. We also look at some of the best mapping drones on the market along with the compatible software. Another closely related sector is using LiDAR mounted onto drones. It’s another growing sector and you can read further regarding drone LiDAR use here. The use of quadcopters and multirotors in photogrammetry and lidar mapping is still in the very early stages. There are many terrific opportunities in various sectors. Now is the best time to learn about UAVs, photogrammetry, 3D and lidar mapping. If you are interested in pursuing a UAV photogrammetry business or similar, buy the best quadcopter and sensors you can. There will be many opportunities for owners with quality UAV lidar and photogrammetry equipment. UAV Lidar involves mounting a laser scanner on a UAV to measure the height of points in the landscape below the UAV. Lidar actually means (Light Detection And Ranging). Lidar scanners can capture hundreds of square kilometers in a single day. By measuring 10-80 points per square meter, a very detailed digital model of a landscape can be created. Lidar sensors can also pierce dense canopy and vegetation, making it possible to capture bare earth structure that satellites cannot see, as well as ground cover in enough detail to allow vegetation categorization and change monitoring. Photogrammetry is starting to take a back seat with lidar sensors on UAVs now being more widely used. NOTE: Vegetation Modelling uses multispectral sensors and lidar sensors rather than photogrammetry sensors. There are several drones with cameras which are ready made for 3D Mapping. In reality, any drone equipped with an intervalometer on the camera would be suitable. An intervalometer triggers the camera shutter. A minimum photo capture would be 1 photo every every 2 seconds. The below cameras all work well for photogrammetry and Mapping. GoPro camera lenses are not great for creating aerial maps. To get some sort of decent results, you would have to be flying higher than 400 feet (approx 120 meters). Also, the integrated cameras on the DJI drones such as the Phantom 3, Phantom 4 and Inspire 1 will allow you to capture photogrammetry images. More information below on DJI. From the Art Of Photogrammetry – If the photos aren’t good, then it’s going to put a ceiling on the quality of your 3D model, no matter how good the software is. The photos should be as clear as possible. If you were to zoom in on your aerial photos, are the small features blurry. If so try to figure this the reason and your 3D images will improve immensely. Eliminate everything standing in the way of maximum sharpness. This is where more megapixels actually matters. Shooting in RAW definitely helps. Lighting is always important in photography. Bright, even lighting will allow you to have a small aperture to reduce the image’s depth of field. Shallow depth-of-field is actually a bad thing for photogrammetry, because blurred details confuse the software. Our goal is to have high-detail, sharp, and flat imagery. That requires closing up the aperture, which means you need more light. Good lighting will also allow you to lower the ISO which will reduce grain, and it will allow you to have a high shutter speed which reduces motion blur. Give the software only high resolution information. If you are mapping a sculpture or building and don’t need the background, then mask it out. If one image is off or not aligning correctly with the images before and after it, then delete this image. In many ways, you’re smarter than the software which will be stitching the images together. Filtering out bad or off line photos before the software gets to work, will make the 3D photogrammetry software as smooth as possible. If its not in the picture, then it’s not in your mesh and 3D image. Make sure you have the coverage you need to get all the details you want, because it’s difficult to go back and re-shoot in the exact same conditions. If you are new to the world of photography, here is a terrific article with on aerial photography tips. Most of the drones highlighted below, are featured in our drone reviews on this website. Also check out 7 very affordable drones with Autopilot and GPS which are essential technologies for photogrammetry and lidar mapping. Companies such as DroneDeploy have now software which is compatible with all DJI Drones including its latest Mavic Pro fold up drone. DroneDeploy latest agriculture solution is called Fieldscanner. This Mavic Pro is perfect for photogrammetry and lidar mapping applications. This quadcopter uses the latest IMU, flight control stabilization technology to fly super still along with a 4k stabilized integrated gimbal and camera. This will create very accurate point clouds and perfect 3D maps stitched together using software from companies such as DroneDeploy or Pix4D. Waypoint navigation is very important for creating accurate 3D photogrammetry images. The Mavic Pro uses the “Draw Waypoints” for its autonomous programmed flight. With a transmission range of 4.3 miles (7 km) and a flight time up to 27 minutes, you can cover a lot of ground. Note: You can read further this quadcopter in the DJI Mavic Pro highlights and FAQs article. The Matrice 100 platform has all of DJI’s easy-to-fly technology built in. It includes the flight controller, propulsion system, GPS, DJI Lightbridge, a dedicated remote controller, and a rechargeable battery. It has additional expansion bays allowing you to add components such as cameras, infrared sensors and lidar scanners used to create complex 3D Maps. The Matrice 100 has enhanced GPS with allows for highly accurate photogrammetry. The enhanced GPS also allows you to track the Matrice 100’s position in real time, while enabling faster satellite acquisition, more accurate position holding and flight planning. The DJI Phantom 4 Pro released in can use the Pix4Dmapper Mesh DJI edition. The Phantom 4 also works with Drone Deploy and Site Scan software mentioned further down this post. The Phantom 4 flies perfectly smooth, uses dual navigation systems, uses obstacle detection and collision avoidance sensors. It has a 4k camera. Very importantly it also uses waypoint navigation. 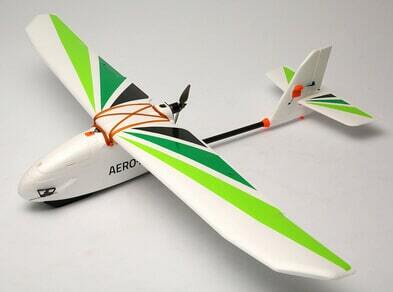 It the one of the most popular quadcopters to be used for 3D imaging. You can read further on the Phantom 4 Pro here. This first videos shows you how to create 3D Model using the DJI Phantom 4 and the Photogrammetry mapping Agisoft PhotoScan software. In September 2015, a firmware and software update gave the DJI Inspire 1 and Phantom 3 models waypoint navigation and can now be used for photogrammetry. This next video gives a demonstration of using the Drone Deploy Mapping software to create 3D maps with a DJI Inspire 1, Phantom 3 and Phantom 4 drone. The best software to use with DJI drones is the Pix4Dmapper Mesh DJI edition. They DJI Phantom 3 and Inspire 1 can also used the Altizure app for photogrammetry. More information on the Pix4DMapper and Altizure for 3d mapping and modelling below. 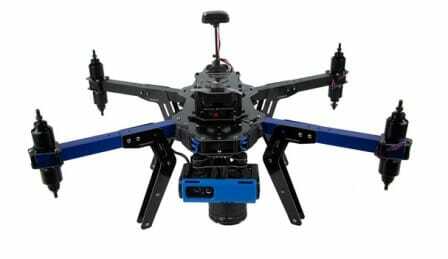 The Spreading Wings S1000 model can be customized to carry many different types of cameras and sensors including those mentioned above which are ideal for photogrammetry and mapping. In choosing a camera, you need to have a matching gimbal to carry the camera. DJI are world leaders when it comes to drones, gimbal and camera stabilization. With the DJI Ground Station, there is photogrammetry software which can be used to produce professional and accurate mapping. The Phantom 2 Vision and Vision+ have the Ground Station built into the Vision App. For the Phantom 2, the Ground Station with photogrammetry tool can be purchased. That has now changed. Special Note: On December 12, 2015, Google stopped supporting Google Earth and DJI’s PC Ground Station software is based on the Google Earth API. This means that DJI have discontinued support for their PC Ground Station. 2 of DJI’s products, the Ace One WP flight controller and 900M Datalink, both of which rely on the PC Ground Station software also ceased to be functional. This also affected the 2.4GHz Bluetooth Datalink’s PC Ground Station functionality will also ceased to be functional. However the iPad Ground Station functions are not affected. The eBee mapping UAV is a fixed wing, fully autonomous drone which captures high-resolution aerial photos that you can transform into accurate 2D orthomosaics and 3D models. The eBee can cover up to 12 square kilometers (4.6 square miles) in a single flight, and over smaller areas, flying at lower altitudes, it can acquire images with a GSD of down to 1.5 cm/pixel. The eBee comes with two software packages: eMotion (flight planning and control) & Postflight Terra 3D (professional photogrammetry). The 3DR X8-M comes as a full package which includes the quadcopter, the Canon high resolution 12 MP digital camera and also the Pix4DMapper 3rd edition software required for rendering the photos into 3D maps. The 3DR X8-M has GPS, autonomous waypoint navigation, repeatable flight paths and is perfect for precision aerial maps and surveys. The X8-M is one of the easiest UAVs to plan and program autonomous missions and creating 3D photogrammetry maps. Unfortunately the X8 models are now end of life with 3DR. Their SOLO drone reviewed a little further down is now adaptable for photogrammetry. The Aero-M is an all-in-one solution for creating high-resolution visual-spectrum aerial maps. It’s the perfect platform for acquiring highly detailed data for large-scale operations such as farming, construction, conservation, as well as search and rescue and emergency response. the Aero-M has a lightweight and tough foam frame. The Aero-M package includes a Canon S100 high-resolution 12 MP camera, the powerful Pix4Dmapper LT 3DR Edition software which is used to create highly accurate, georeferenced and orthorectified mosaics. View the last video below to see how easy it is to plan an autonomous mission with the Aero-M and also to create a 3D maps of a large area. The 3DR SOLO drone was released in 2015 and designed specifically for the GoPro Hero 4 camera. The SOLO drone can now be used to create 3D Maps using the Pix4Dmapper mesh software. You can read more about this Pix4Dmapper mesh software below. This year, 2016, 3DR released the Site Scan product. This enables the Solo drone and now DJI drones to collect high-quality 2D and 3D geotagged aerial data. It’s available now with the GoPro HERO4 Black camera and later this year with the Sony UMC-R10C. The price for the 3DR Solo quadcopter with gimbal is as low as USD $378 at the time of writing. However, 3DR have discontinued manufacturing the SOLO drone and will concentrate on their Site Scan and other products. The Trimble UX5 ensures optimal image quality along with maximum photogrammetric accuracy. The UX5 camera has a large imaging sensor which captures very sharp, color-rich images, even in dark or cloudy conditions. The 24 MP camera and its custom optics give the UX5 the ability to capture data down to 2.0 cm (0.79 in) resolution. The design of the Trimble UX5 means it can fly in practically all weather conditions. The Aeryon sUAS is designed for any application that requires survey-grade accuracy orthomosaics, DSMs and point clouds from aerial or oblique imagery – and seamless integration with GIS, CAD, and traditional photogrammetry software. The Aeryon Map Edition includes the Aeryon SkyRanger sUAS, the integrated imaging payload for image capture and Pix4Dmapper software to enable field and office image processing, including integrated tools for 3D output visualization and editing. The Pix4Dmapper Mesh software has a special edition for DJI drones. The Mesh software automatically converts images into 3D models. You can also get a preview of the 3D model or map on your phone within one hour after landing. Then using the desktop software, you can edit and optimize your 3D models. There is so much more you can do with this Mesh software including measuring lines and surfaces, create fly through videos and export the model in full 3D textured mesh and video format. You can rent the Pix4Dmapper Mesh software annually which includes all free updates. This Pix4Dmapper Mesh DJI Edition works with the Inspire 1 and Phantom 3 Professional and Phantom 4 which are reviewed on this website. The Altizure app allows for fully automated 3D mapping of an area. You outline an area on the map and the app will calculate the best route to take images of the area. These images can then be uploaded to Altizure.com, where it is analyzed by its software to create a 3D render of your location (you can also animate your creation). The compatible drones are the DJI Phantom 3, 4 and Inspire 1. Altizure have a free version and also a paid for service. This videos shows the monumental task of creating the 3D Model of the Christ the Redeemer Statue in Rio de Janeiro. This next video comes from Tim Lucas which demonstrates how UAV’s carrying photogrammetry payloads are being used. Below is a nice tutorial video on LiDar technology. This video shows traditional aircraft being used for LiDar mapping. However, we are already seeing that UAVs are more practical and cost effective for LiDar mapping. This final video shows you the SiteScan software working with the 3DR Solo drone and how easy it is to create a 3D photogrammetry map. The 3DR SiteScan software now works with the DJI Mavic and Phantom drones. With a doubt, creating aerial 3D photogrammetry images has never been easier.